If you survive, the world you grow up in will be one that has experienced intense panic and distrust, violence and hysteria – though that’s a loaded word. I don’t think I would have used it before this past year. But now? All of us living with a disease that affects only girls and women? Hysteria is so bang on. As I finished my sandwich, it occurred to me that the news captions on TV had all been directed at men. There was nothing about the symptoms women should look for in themselves. The White Man’s Burden: Great book review or The Greatest Book Review ™? Let Stephen impregnate you with his mind. Though I’ve reviewed a few animal themed books for http://www.easyvegan.info, my AR/enviro blog, I’ve only sporadically posted book reviews over here. Now that I’m really into audiobooks – hey, what better to help work through the mind-numbing boredom of rote web editing? – I’m flying through my library. That, and a sudden influx of to-be-read-and-reviewed books via Library Thing and teh internets, and methinks I’m going to be drowning in reviews soon. What better place to post them than here? I’ll start off with I Am America (And So Can You), by Dr. Stephen Colbert, DFA. 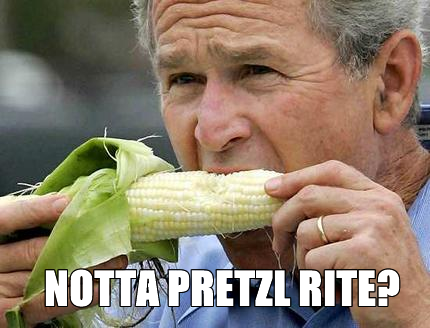 Since the writer’s strike is still going strong, I’ve yet to watch a new episode of The Colbert Report in ’08. Luckily, the audio version of I Am America has helped to ease the pain somewhat. In all seriousness (and in direct contrast to my review), I do own both the hardcover and audio versions of I Am America, and the audio book is way better than the print version. 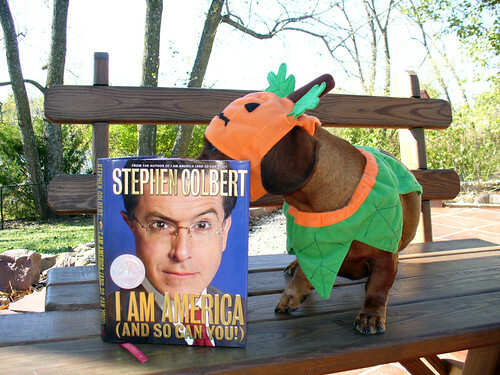 Don’t get me wrong; the book is quite amusing, but Colbert’s reading gives it an extra pop that’s lacking in the book. It’s just like The Colbert Report, only without the visuals. Four stars for the hardcover, five for the audio book. If you like the review, hop on over to Amazon.com and/or Library Thing and give me a thumbs up. Ralphie likes his Truth hot and hard.